Mind Training is a comprehensive practice that is suitable for all types of students and age groups. It contains the entire path and does not depend on a person's background. Mind Training cultivates and nurses the Buddha Nature that pure seed of awakening that is at the very heart of every sentient being. It has the power to transform even egotistical self-clinging into self-lessness. Put into practice diligently, it is enough to lead you all the way to awakening. Shamar Rinpoche gives his own detailed commentary on Dorjé's Seven Points of Mind Training, a text that has been used as a basis for transformative practice in Tibetan Buddhism for close to a thousand years. 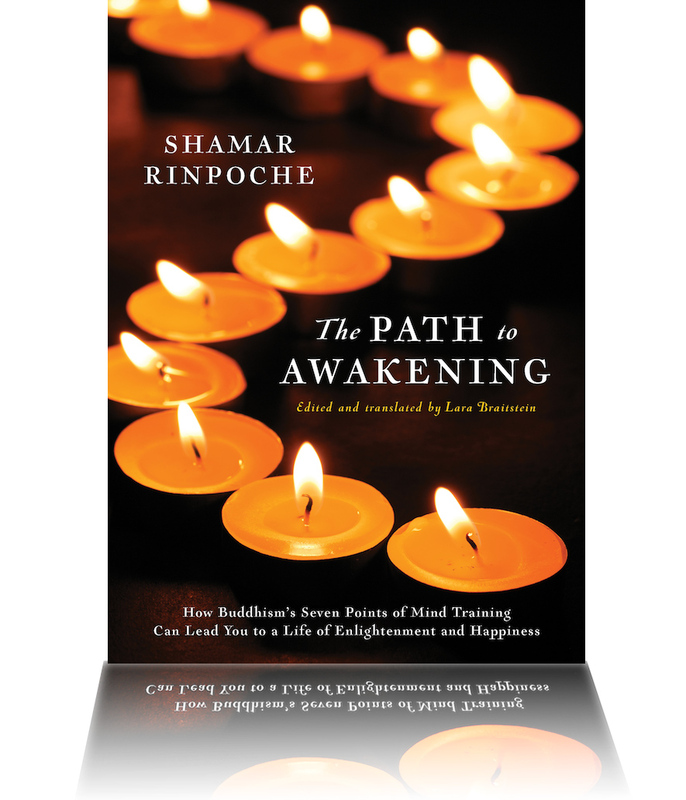 This book is filled with practical wisdom, philosophy, and meditation instructions. The Mind Training practice is clearly written, easy to learn, handy, and includes all the profound meditation instructions. Available for purchase on Amazon or at a local Bodhi Path center.